Laura’s lace-edged, cathedral length veil! I always love a veil, especially cathedral length - they are just so romantic and add something special to portraits. Laura’s was even more special in that she was the fourth bride to wear it! One of her closest childhood friends wore it on her wedding day, and her sister before her, and their mother before that! It was an exceptionally warm September afternoon, but not a cloud in the sky meant we were graced with perfect, golden, late summer light. It streamed through the stained glass window of Old Christ Church during their ceremony and was exactly the kind of light I always hope for during couple’s portraits! In a word, stunning. We were ahead of schedule all day and ended up with nearly 45 minutes for portraits of just the bride and groom (a photographer’s dream come true!). The light was gorgeous from every angle and they were so natural in front of the camera - I simply adore the way their portraits turned out! 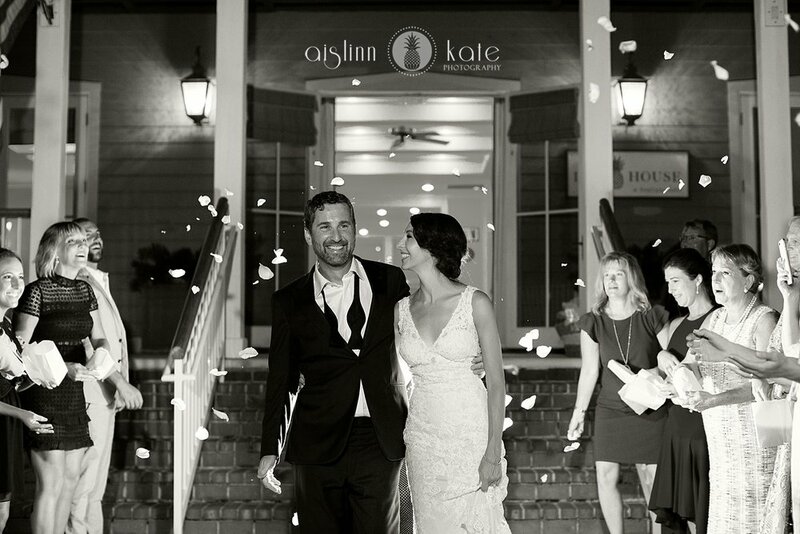 Laura planned the perfect downtown Pensacola wedding, with everything being in walking distance for their guests. 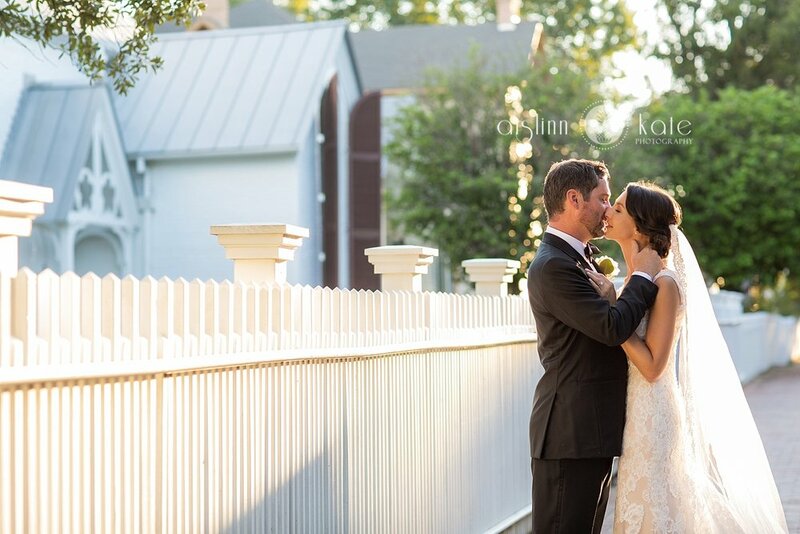 The bride and groom, and their families spent the morning getting ready at The Lee House before walking across Seville Square for their ceremony at Old Christ Church. Afterward everyone simply walked back across the park for the reception in the Alcaniz Courtyard! The Lee House and their in-house coordinator, Stephanie Mathis are two of my favorite wedding vendors in Pensacola! The property itself is so charming and it is exceptionally lovely for weddings. Stephanie goes above and beyond to make sure every wedding is flawless for every couple, but she goes out of her way to make sure the vendors feel just as welcomed as the guests! It is always such a treat photographing weddings there!